Round with crown on top. 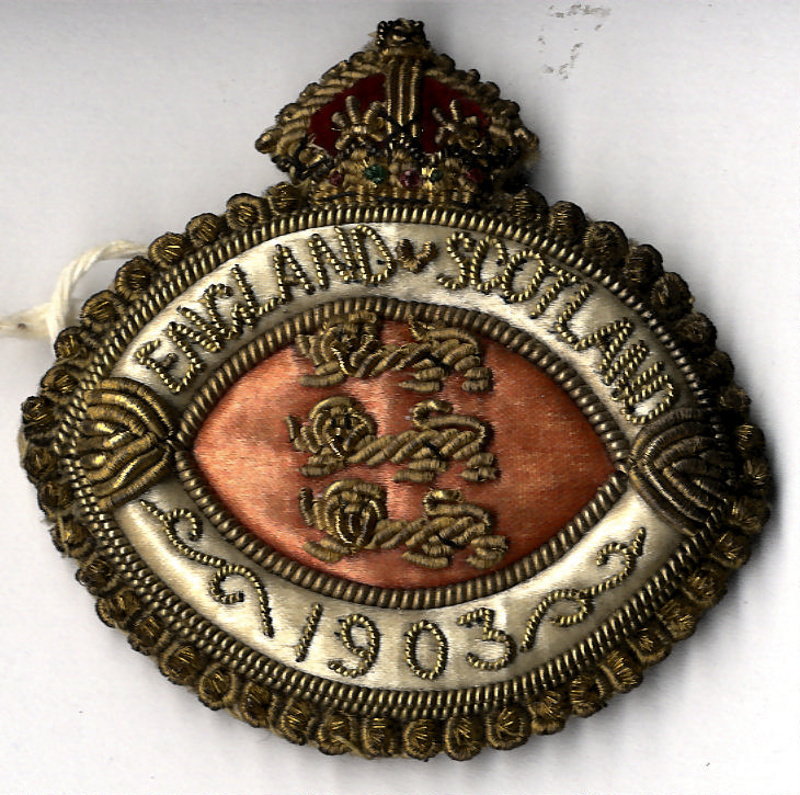 Red and cream with 3 lions in the centre, gold trim around edges. Pin fastener at back. 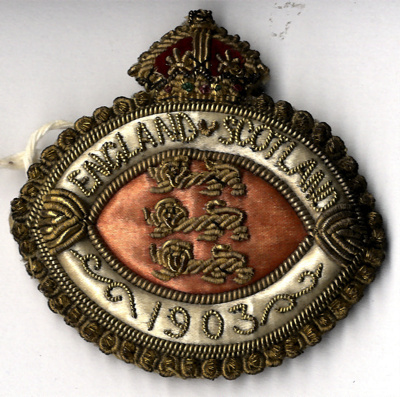 Possibly worn by a match official. Scotland beat England in this match 2-1.